I use the PPTP instead. it is not working with the FireWall, so I have disabled it for now. I am going to try soon the PPoE too. by the way I brought 4 units of WRT54GL and I need to install 3 so I have 1 spare for tests. if you want to do it togethr. I have the same problem as you guys from Israel. I've upgraded my connection from 5Mb to 12Mb UFI and Bezeqint changed my connection type from MPLS to Dialing mode. Thanks to information in this thread I've downgraded my firmware to the original of Linksys and then I could connect using L2TP. It has a lot of features and does connect with L2TP without any problem. I see that this is not a problem of my device, but the firmware. Glad to hear this thread has helped you. you might want to call Bezeqint, ask them to put you back on MPLS/no dialer... if one says no, demand to speak to the supervisor, they were always friendly and allowed changing connection types like that. Posted: Wed Jul 07, 2010 20:28 Post subject: Half working solution! I found the problem! and i have a CLI fix! now it is time for the devs to have a glance and enable the fix for everyone and for good. I am using DD-WRT v24-sp2 (06/03/10) mega. Once I've done that the next automatic dial attempt SUCCEEDED!!! I am now able to ping, surf, download, you name it! as far as i can see it right now, this configuration is rather hard-coded... So any configuration change and needless to say router reboot, causes the file to be regenerated with the incorrect settings. I say hard-coded because there is no way to change this in the web-GUI nor have I found an NVRAM setting to control this configuration... I may be wrong and suggestions are welcomed. DEVs, please please PLEASE make this a configuration option in the web-GUI. I'm going to file a bug report for this, so I apologize in advance for the duplication. Also, at first i changed "require chap" to no as well but further testing proved that only the "refuse pap" change is necessary. Posted: Wed Jul 07, 2010 20:56 Post subject: Re: Half working solution! After opening this 3+ years ago, great to see we found a solution! well done Aviad! Just out of curiosity, how did you find the file where to do it? Bauer: At first I switched to Tomato exclusively and then when i missed all my DD-WRT features (like you suggested in a previous post, even though i didn't see your post until yesterday) I brought another router from work temporarily. So one would have Tomato and connect using L2TP and the other used DHCP (gr8 minds think alike ^_^). Anyhow i figured that it is possible that the problem is a simple configuration change, not realizing at the time that DD-WRT uses xl2tp and tomato doesn't, so when hunting for the L2TP configurations on the two firmwares, I did not find correspondences. with that said, as a former ISP tech supporter, I have created the dialer about 10,000 times by now, so its not that I remember that PAP needs to be checked, its that i cant forget ... and as the config files are in plain text the leap of understanding wasn't that high this time around. BTW until this is fixed i have created a script for myself that will correct the problem automatically. If anyone is interested its publicly available here along with other stuff I have done to my router. The problem with requesting no dialer is that you lose the priority tagging gained with the higher speed. 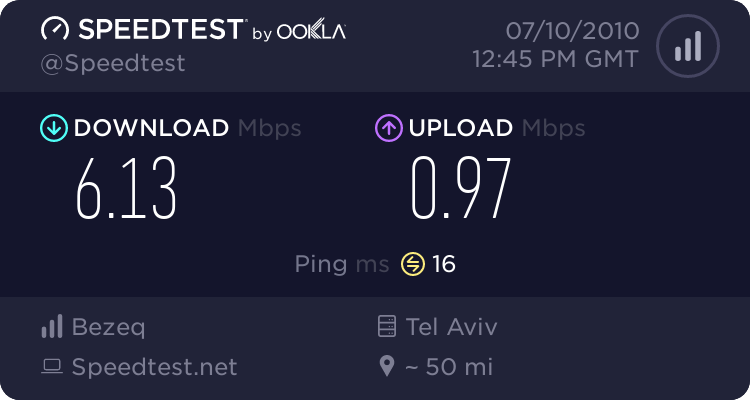 At least this is the case for Bezeq Bein Leumi when speaking to their techs. can anyone help me how to make this fix? my firmware version probably does not support SSH, because it is grey. However, WRT54GL router is useless with UFI >12M using L2TP connection. As l2tp daemon overloaded (CPU use >80%) when downloading at >500 kByte/s (>700 kByte/s for Tomato firmware and ~600kB/s Original firmware), (Changing firmaware or overclocking will not help too much). Until now I have not found solution to this. I have spare PC wich I will turn to router. Connecting using PPTP is still around 750 kB/s. 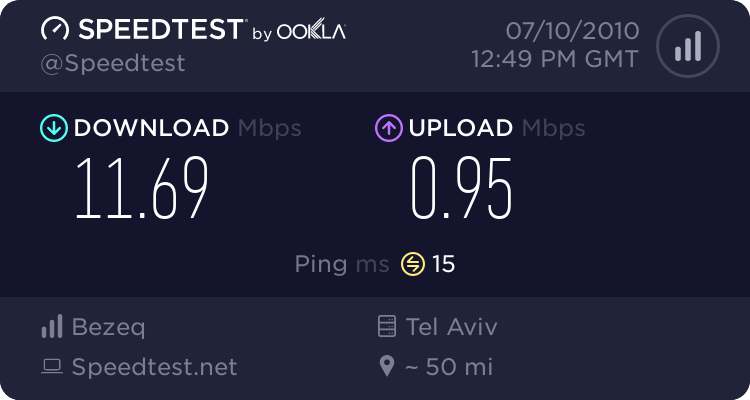 sdenn: as my internet connection is currently only 3Mb/s, I am not even close to seeing the problem your reporting. Thanks for letting us know, I'll keep it in mind when its time for the upgrade. gute1: As sdenn said you can enable SSH in the "Services" tab and then edit the file, however you could just as well perform the operation through telnet which should be enabled by default. one more point to note is that if you manually edit the configuration file /tmp/xl2tpd/xl2tpd.conf, the change will not survive a router reboot and not even some web-GUI changes. That is why I've created the script, but unfortunately it does require JFFS to be enabled and have some free space on it. however if that doesn't happen soon, with enough demand i'll make a startup script that doesn't require JFFS. I have 4 WRT54GL routers for about 2 years. 3 are connectet to cables thrue PPTP, and one to ADSL thrue PPPoE. of course I get only 2-3Mb on the download, but the main reason for the upgrade was the upload. what do you think about using an old PC as a router? which software should I use? is DD-WRT will be the best? I am waiting for the better script to make the move to L2TP and take advantage of the bandwidth. According to sdenn's findings, the L2TP would not help with the download speed as its killing the CPU as well. My main issue with using an old PC as a router is that the power draw of such a "router" will be between 15 to 20 times that of the linksys. To put it bluntly, my linksys router consumes about 6W of power, and here is a list of computers I have measured with their respective power draw. Almost any laptop was from 15W without the screen on to about 35W with the screen and WiFi at full blast for the highest end laptop i could put my hands on. Now its time to ask your self, what do you really want from DD-WRT?... I found that 90% of what i want from DD-WRT are the server abilities like the PPTP VPN and the ipkg knocked package. So if you want my real recommendation, start thinking about splitting the router functions to a router that doesn't have the speed limitation problem and reproduce the server functions with a Laptop that you've designated to be a "Server" on your home network. The entire rant about this is on my site. I do realize that usually you cant use a laptop as the router because it doesn't have two wired network cards, but with a bit of investment that could be overcome too, but thats just an unnecessary headache. Do NOT use Pfsense, no no no !!! it is not a router it is a walking trap! trust me, you don't want to deal with "The case of the runaway broadcast" to say the least. A friend of mine suggested I give ClearOS a go, while it looks good I still haven't had a chance to. I'll make an effort to create a non-JFFS dependent script as soon as i get my hands on a spare Linksys. Hope this rant helped you in any way. OK, i was able to adjust the script for non-JFFS dependent use. 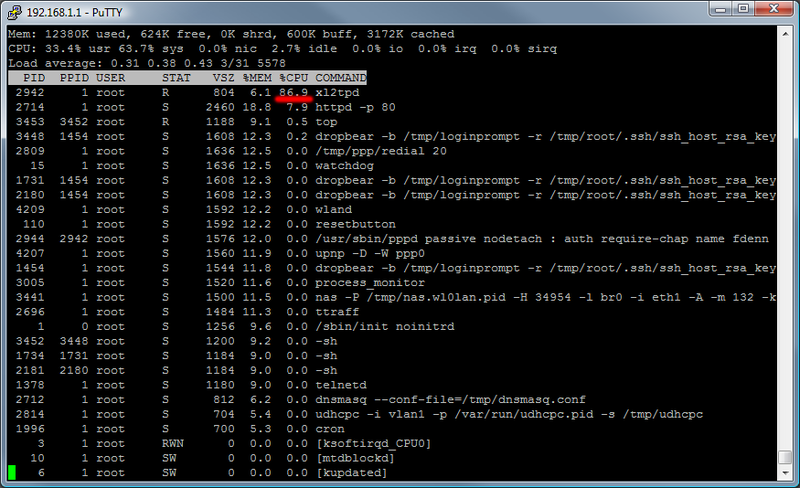 I used a freshly flashed and restored to factory defaults WRT54GL v1.1 with DD-WRT v24-sp2 (06/12/10) std - r14594. 1. Set your L2TP dialer settings. 2. Go to the "Administration" tab and then "Commands". 3. Paste the script below into the text-box. logger -s -p local0.notice -t L2TP_fixer "Started working, giving 20 secs for router boot"
logger -s -p local0.notice -t L2TP_fixer "Entering big while loop"
logger -s -p local0.notice -t L2TP_fixer "Entering small while loop"
logger -s -p local0.notice -t L2TP_fixer "created altered file"
logger -s -p local0.notice -t L2TP_fixer "moved the altered file into the real file place"
logger -s -p local0.notice -t L2TP_fixer "###########Blink the SES Leds###########"
logger -s -p local0.notice -t L2TP_fixer "sleeping for 60 seconds"
4.Hit the "Save Startup" button. 5.Reboot the router and wait for it to connect. Assuming your settings are correct, the router should get connected (and blink the front white led) within a minute or so. I will test it in a few days. my main target of the router is for the office so PC is not a problem. I mesured 100W on idle computer, so it is about 36NIS in the electricity bill. I need a good VPN, firewall, complex network include vlans, multiple DHCP, multiple WAN, and if posible connection to USB cellular modem. for my othe location I need a VoIP aware router to translate NAT for SIP protocol. I am not a linux expert although I administrate a linux PBX in the office. - why not use DD-WRT? - what about the ready made router distrebutions? - to have JFFS I need the SD card mod? - I can do the mod, but what benafit it will gave me? - do you know about the problem in milkfish in the voip vertion? DD-WRT is really good for what it's doing, which is running on embedded devices. I understand that you are very new to Linux (don't worry, baby steps), so u'll have to trust me... other distributions are way better to administer and my personal preference are Debian and Debian based. again, the entire rant is on my site. practically any other solution of the ones below will give you at least x10 times the performance which is really going to come into play when your talking about Vlan to Vlan communication. what about the ready made router distrebutions? Personally I had the distinct unfortune of using only one called Pfsense. "PfSense doesn't... make any sense that is." But the one introduced on hak5 seems nice. Not really, if for example you use the mini version you will have some space for JFFS. but doing the mod would give you a lot of space. with that said, if your doing this for the office? you cant rely on your soldering and DD-WRT skills (note that its not really Linux skills at this point) to hold all of your users. in regards to the benefits, you will have enough space to start having some server services on the router... but this brings us again to the do you need a server or do you need a router question. * multi-WAN (2 ADSLs, and 1 cable) - and we use routing rules for traffic distribution, but you could configure it to do load balancing. * SSL VPN with client side certificate - their client is very easy to install with GPO or by going to the web-portal and agreeing to the plugin install, and this is a integrated, supported solution that just works. * multi-DMZs - we have configured detached Vlans on it, therefore it is possible to dedicate a Vlan to be a DMZ. * surfing AV filter - all user traffic is automatically scanned for viruses on the wire. and we are only using about a 10th of its actual power. try PMing me, if you wan more information about any part of this rant.